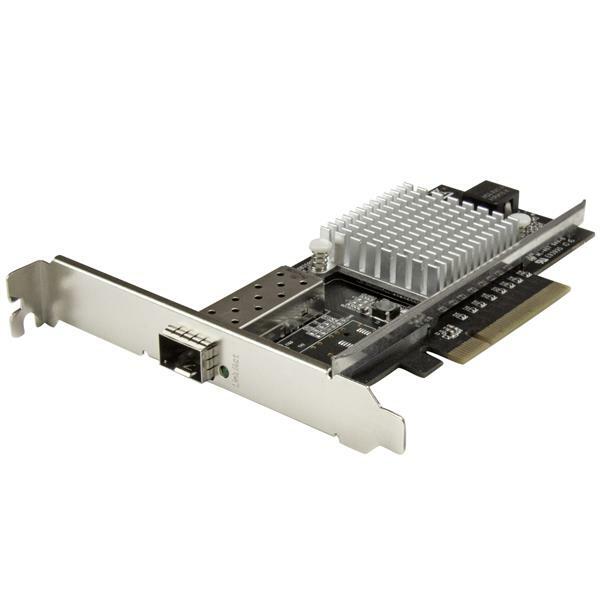 This fiber network card delivers reliable, high-performance network connectivity, by adding an open SFP+ slot to your server or high-powered workstation. 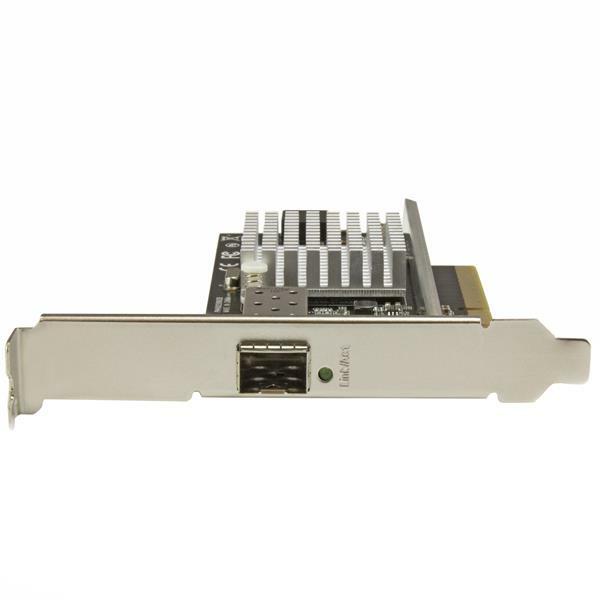 It provides an easy and cost-effective way to upgrade your server or workstation to a 10 Gigabit fiber network using the SFP+ module of your choice and gives you the flexibility to use either multimode or single-mode fiber. The card features an open SFP+ slot with support for one interchangeable 10GBase SFP+ module. This gives you the option to use the fiber transceiver module that best suits your network needs based on distance and connector type. StarTech.com offers a variety of SFP+ transceiver modules including the SFP10GLRST single-mode SFP+ the SFP10GLRMST multi-mode SFP+, and SFP10GSRST multimode LC with DDM. In addition, StarTech.com provide a dependable solution for linking telecom and data communications equipment, such as routers and switches. 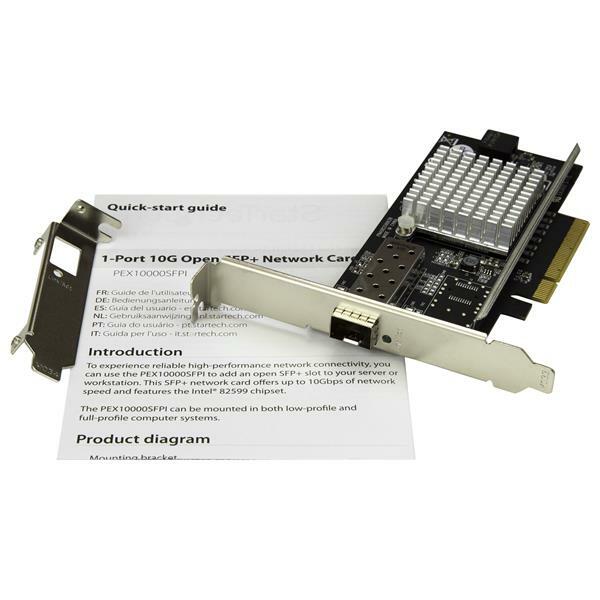 The 10 Gigabit network card features the Intel® 82599 chipset, delivering the power, performance and enhanced capabilities you need for reliable network connections to your server or computer. The Intel chip offers many advanced features including Intel® Virtualization Technology for Connectivity, PXE network boot support and up to 15K jumbo frame support. The PEX10000SFPI is backed by a StarTech.com 2-year warranty and free lifetime technical support.